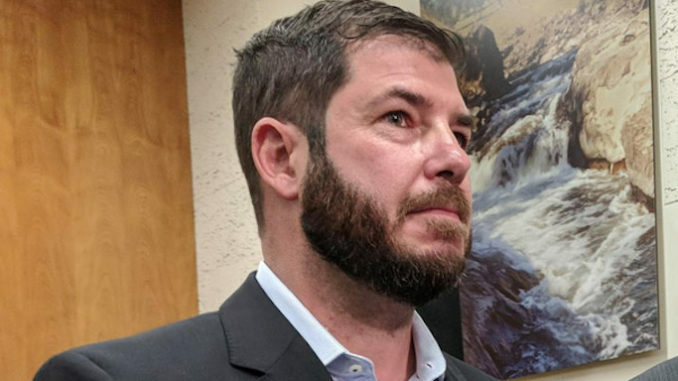 California Democrat Joaquin Arambula has been arrested on child abuse charges, Fresno police Chief Jerry Dyer has confirmed. The Democratic state lawmaker was taken into custody on Monday on suspicion of child cruelty. Fresnobee.com reports: In a press release sent Tuesday night, the chairman of the Republican Party of Fresno County called for Arambula to be removed from his position. “California State Assembly Speaker, Anthony Rendon, should ask for Joaquin Arambula’s resignation due to the egregious nature of these charges,” said Fred Vanderhoof, the chairman of the Republican Party of Fresno County . “The Fresno County Republican Party commends the Fresno City Police Department and Child Protective Services for investigating this crime. Arambula was arrested for alleged willful cruelty to a child, a misdemeanor under California domestic violence statutes. Fresno Police Chief Jerry Dyer said that shortly before 2 p.m. Monday, police got a call from Dailey Elementary Charter School by a Child Protective Services employee who said there was a child at the school who had been injured. After talking to the child, “the officer determined that the person responsible was Joaquin Aramubula,” Dyer said. Dyer said he could not release the age or gender of the child, or the nature of the injury, but the injury occurred about 8:30 p.m. Sunday, he said. Arambula and his wife have three daughters who were ages 6, 5 and 2 in March, according to a Bee story earlier this year. Arambula’s wife came to the school, and a short time later Arambula arrived with an attorney, Dyer said. “Based on advice from the attorney, he decided not to give a statement,” Dyer said. Aramubula was cooperative, the chief added. A police officer drove Arambula to police headquarters, where he was processed, photographed and issued a misdemeanor citation to appear in court. Dyer said he didn’t know if Arambula was handcuffed when he was transported to headquarters. If convicted, Aramubula could face up to six months in jail and be required to be on probation. Arambula is a Democrat representing District 31 in the state assembly. He was first elected to the office in 2016. One political supporter who knows the family said she finds the accusations hard to believe. The case has yet to be submitted to the Fresno County District Attorney’s Office.